How does your garden grow? 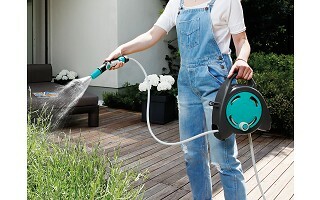 Easier now, thanks to GF Garden’s watering solutions. They're all made to make maintaining your plants and flowers as streamlined as possible. 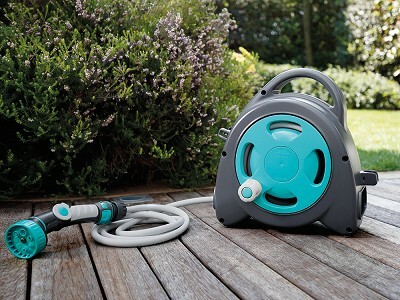 They lighten up the retractable hose reel so it's easy to carry around the yard. 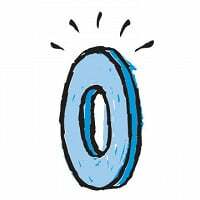 The smaller size weighs less than four pounds and the larger size weighs in at seven pounds—and both can be mounted to a wall, too. A braided, flexible hose retracts back into the reel when you’re done. The self-expanding hose kit is lightweight and it can extend up to 50 feet with water pressure. It comes with a silicone carrying and storage bag to keep things tidy when the watering is done. And for potted plants and flowers, water spikes do the job. One can release water from a water bottle at a steady rate straight to the roots. See how easy it is to keep water flowing and help the garden look its best? 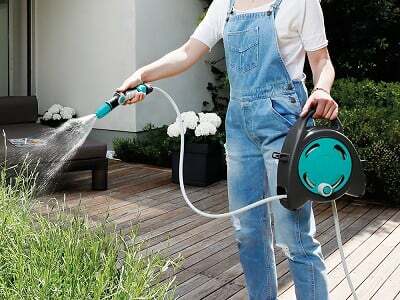 Is the retractable hose reel portable? Yes. 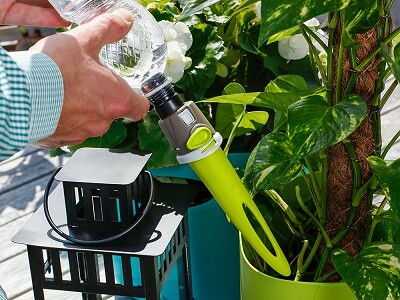 There's a handle to make it easy to carry with you as you water your garden. It can also be placed on the ground and stand up on its own. Do the watering spikes require a water bottle? Yes. The system requires a plastic bottle with a maximum capacity of two liters.